Come down to meet Pat Duval, and hear about his life and achievements which are documented in his book. Retired Sheriff’s Deputy Pat DuVal’s new book, “From Colored Town to Pebble Beach: The Story of the Singing Sheriff” offers two gifts for the price of one. The first is DuVal’s unflinchingly honest descriptions of what it was like to live in the segregated South of the 1950s and ’60s. 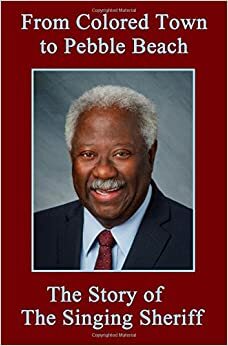 The second is an entertaining patchwork of local history from the time he became Monterey County’s first African-American deputy in 1967. Read more.